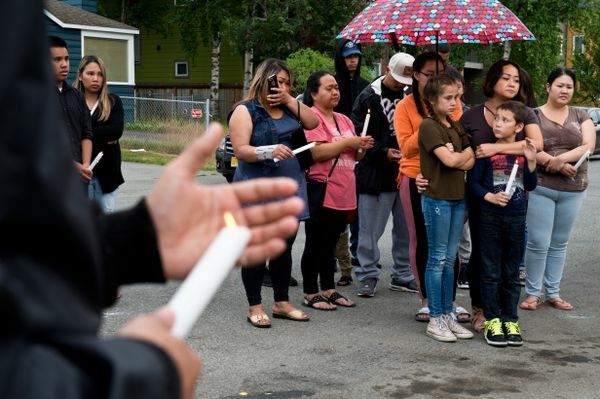 About 100 people stood in a semicircle on North Bliss Street in Anchorage's Mountain View neighborhood Monday to remember a 15-year-old boy who was killed at that spot last week. 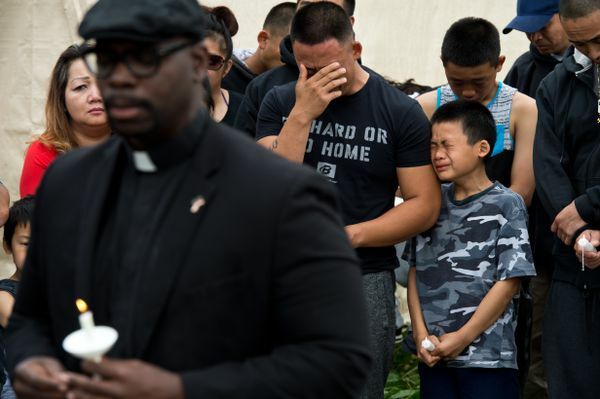 Police said Raynaldo Khotesouvan was shot. A photo of Khotesouvan was partially obscured by a table that overflowed with flowers, candles and written remembrances Monday. 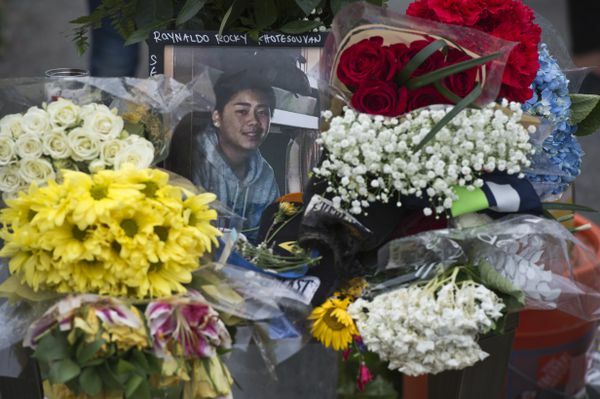 A few people spoke up to remember Khotesouvan as kind, fun and athletic. Most of the emotional ceremony was silent. Two Anchorage police officers stood nearby. 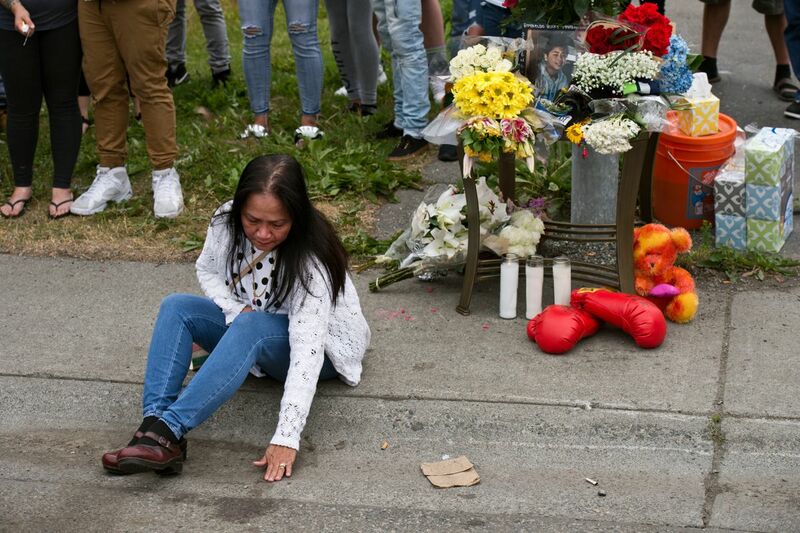 Sixteen-year-old Luimariamofoa Polu was arrested and charged with first-degree murder in the incident. At the conclusion of the event, Siou Khotesouvan, Raynaldo's mother, said the turnout meant a lot to her. "It gives me some peace and comfort that the community's coming together and supporting one another," she said. "Gun violence needs to stop," she added. "No more blood."